And not just that, but it's the Friday of a long weekend up here!! 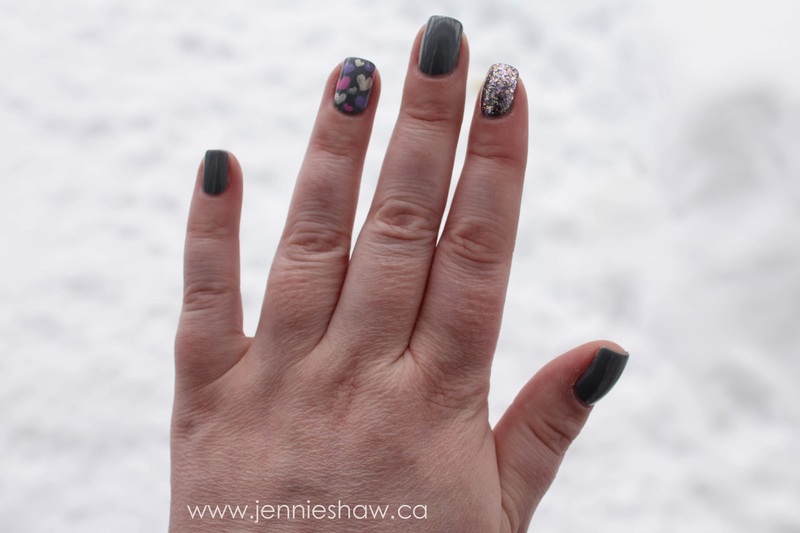 This year, I had a rough go at deciding how to paint my nails for Valentine's Day. So, because I couldn't quite decide, I've got two manis to show you, which works out well because they're a couple of manis and V-Day is all about the couples (Yes, I'm beating this joke by using it here and in my title but it's still funny to me, so I'm not sorry. ha!). I started with two coats of Step Right Up as the base. Then, with dotting tool 3 (see below), I used Dance Baby and Creative Fantasy for the hearts. And because no mani is complete without just a little sparkle, I used dotting tool 2 and Sparkle and Snowflake for the small dots, randomly placed around the hearts. 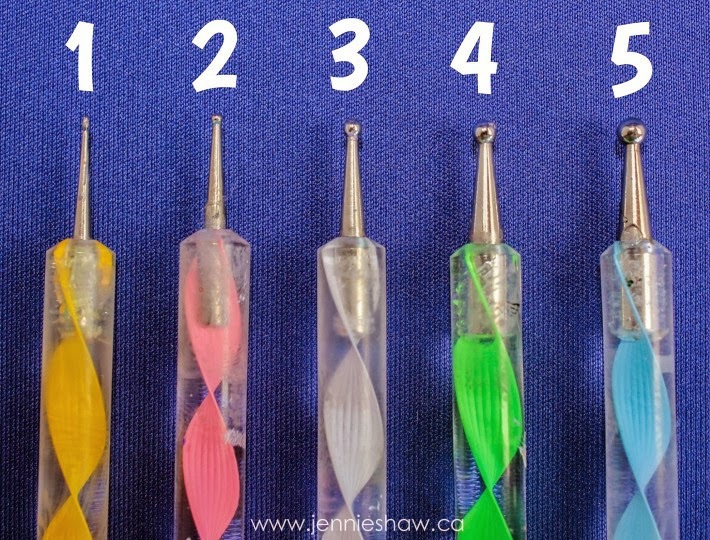 My dotting tools come in five different sizes, so I thought it would be helpful to display them all so you can get a better idea instead of my usual "small dotting tool" description. Do you like that I've added this detail? I started with two coats of Misty Haze. Then, with dotting tools, 5, 3, and 2, I made different sized hearts with Dance Baby, Tart-y for the Party, and Gossip Over Gimlets. For my pointer finger, I did two coats of Inner Sparkle. And because getting a long weekend isn't enough to make this week extra awesome in and of itself, I've been nominated for The Notorious Nails category of The Best of Blog Awards over at My So-Called Chaos! Someone has to nominate you, so THANK YOU TO WHOEVER YOU ARE! I LOVE YOU VERY MUCH! THIS IS ALL VERY EXCITING! And don't forget to link up and show off your pretty nails. Especially if they're Valentine's Day nails as themed manis are the ultimate best! YAY FOR THEMES! I love love LOVE these both--but the second one literally made me swoon. I love the unconventional use of colors too!! Yay! Happy valentines day! Love the grey one! Happy Valentine's day! Great ideas...and enjoy the long weekend! hehe love the joke ;) Great job with the hearts! I think I like the top 1 the best. Both are cute though. adorable nails, happy valentine's day! You always have the best GIFs haha, Deena has been cracking me up all day. 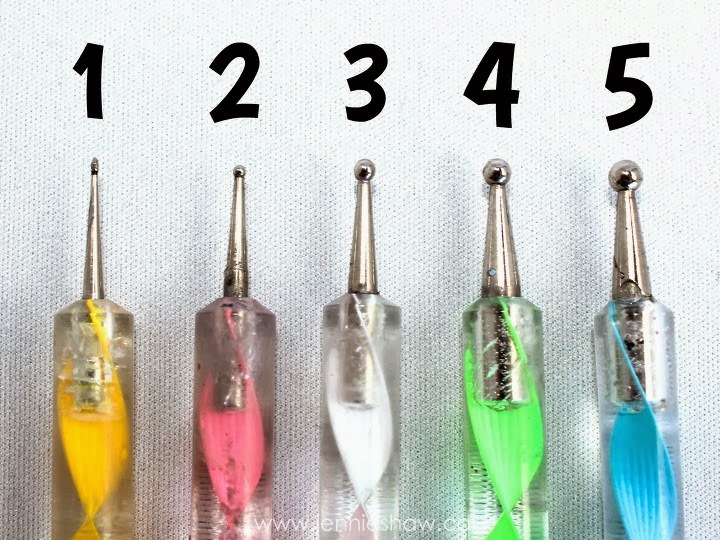 What an EXQUISITE collection of dotting tools you have!! WHO EVEN KNEW YOU COULD MAKE SO MANY DIFFERENT DOTS?! I wish I were as talented as you. Those are awesome manis! Ok, I love them! Both sets too! I need to stop by your house, so you can do my nails;) Thanks for the link up and enjoy your evening.